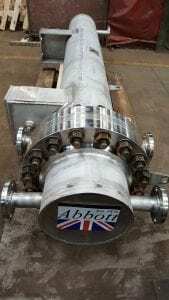 Abbott vertical or horizontal Shell and Tube heat exchangers, finned tube Heat Exchangers, fin-fan Heat Exchangers, primary/secondary condensers, kettles, vaporisers, economisers, chillers, falling film evaporators – constructed from carbon steel, stainless steel SS316, SS304, Duplex and high alloy steels. Used in applications for petrochemical, chemical, general process and commercial industries. 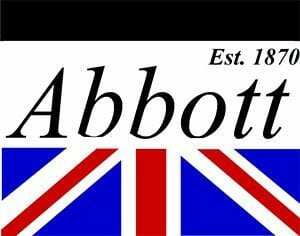 Abbott Heat Exchangers are 3rd party approved – CE marked and fully certificated to mechanical standards including TEMA-R, TEMA-C and TEMA – B. Shell and Tube heat exchangers, finned tube Heat Exchangers, fin-fan Heat Exchangers, primary/secondary condensers, kettles, vaporisers, economisers, chillers – Full and complete supply from thermal sizing through design, drawing, manufacture, inspection, testing and delivery. 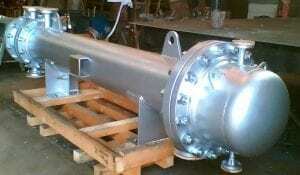 Mostly PD5500 Cat, I, II & III , also ASME(VIII) – NCS. CE marked (where applicable) and PED (2014/68/EU) compliant. TEMA-R, TEMA-C and TEMA-B mechanical standards. 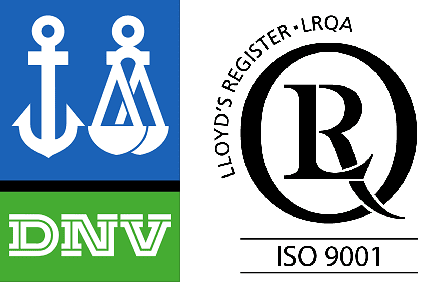 In house quality control and procedures to BS EN ISO 9001:2008, third party survey and inspection by Lloyds Register or your nominated third-party. 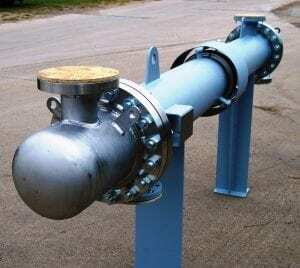 To meet your Pressure Systems Safety Regulations requirements. 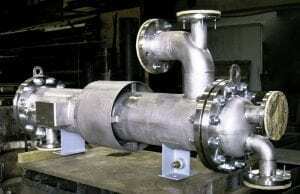 Shell and Tube heat exchangers, finned tube Heat Exchangers, fin-fan Heat Exchangers, primary/secondary condensers, kettles, vaporisers, economisers, chillers built with Stainless steel, Duplex or Carbon Steel: ASTM A240 316L, P265GH (BS1501-151-430A). 100% PMI of all stainless steel materials at goods receipt. All material is Western European or USA source. To suit your system design. 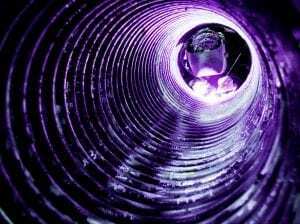 Stainless steel – inside natural. Outside – surfaces cleaned with welds de-scaled. 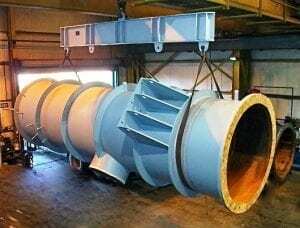 Carbon steel – we can meet the demands of many paint specifications with our in house blasting to SA2.5 and painting, specialist finishes are subcontracted to a number of tried and tested painting contractors. Shell, bonnet, tubesheet, tubes, U-tubes, baffles, supports, tie-rods, impingement plates, inlet connections, outlet connections, deflector plates, brackets can all be built and positioned as best to suit your heat exchanger application and requirements. Supplied with gaskets, fasteners and stainless steel nameplate.